Free Download Manager for Windows XP - download Manager, to simplify the process of downloading content from the global network. The utility supports FTP, HTTP and HTTPS servers. You can download from torrent trackers. There is a built-in debugger that allows you to set specific time and date for the operation of downloading files to a computer. If the process is interrupted, the software automatically resumes it after the failure (reset) has been eliminated. The function of downloading from video hosting sites, converting to user-defined formats (including for Apple devices and game consoles) is supported. 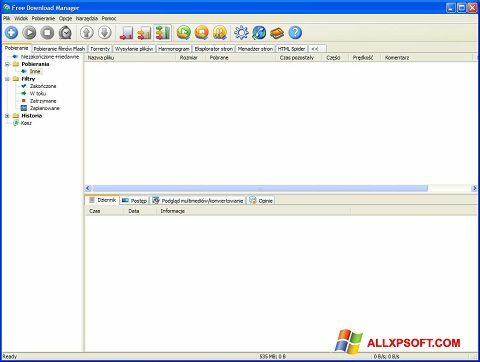 You can free download Free Download Manager official latest version for Windows XP in English.